The still very new UK supplement company Biohack Pharmaceuticals, has confirmed and unveiled the next product it plans on adding to its lineup. The brand has yet to provide a name for the supplement, however all of its other important details have been revealed including its rather unique combination of ingredients. The upcoming Biohack intra-workout is made up two groups of ingredients; a muscle protein synthesis matrix and a performance blend. The former brings together a mix of 6.25g of whey protein hydrolysate with 2g of Velositol to double the power of the protein, and 5g of leucine along with 50mg of AstraGin to enhance absorption. Then on the other side of the Biohack intra-workout there is 2g of taurine, a hefty 5g of l-alanyl glutamine, and half a gram of coconut water. There is also 2g of the PeakO2 performance blend to improve time to exhaustion, and 50mg of ActiGin which has been shown to increase VO2 Max. 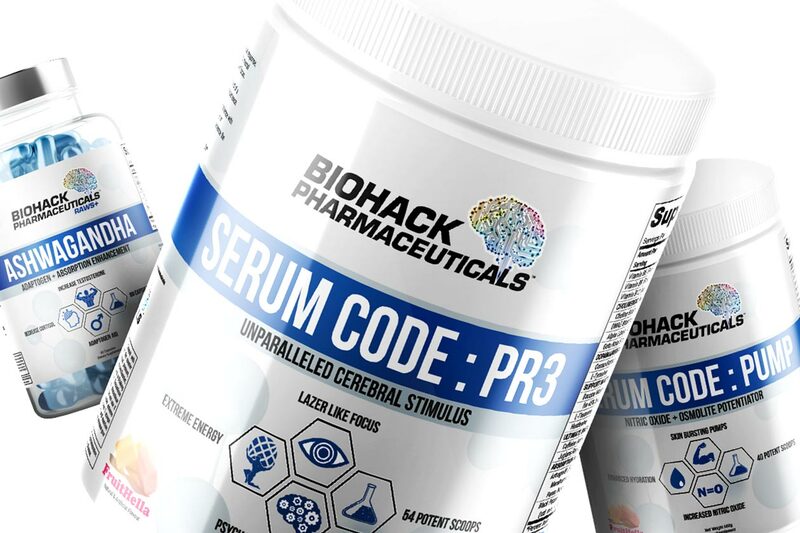 Biohack has truly put together another solid looking formula; just as impressive in fact as its loaded pump pre-workout Serum Code Pump and its stimulant pre-workout Serum Code PR3. Much like the name of the product, the brand has yet to confirm when its intra-workout will be available, only that it is coming soon.